Group projects are important to perfect your skills in teamwork. Sometimes it’s rough, so MOVE has some tips for working with others. It’s the light at the end of the tunnel — it’s finally the beginning of May and summer vacation is on the horizon (even if the weather doesn’t necessarily agree). There are just a few obstacles between now and lying on a beach, though: finals, term papers and dreaded group projects. In comparison to group projects, finals and papers can easily be done since you only have to depend on yourself to study and write. 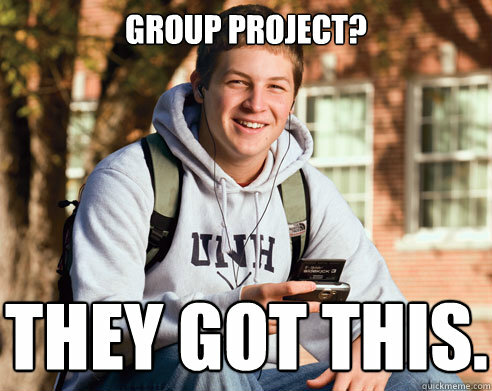 But group projects are large, monstrous assignments in which you have to split the work with a few other classmates. 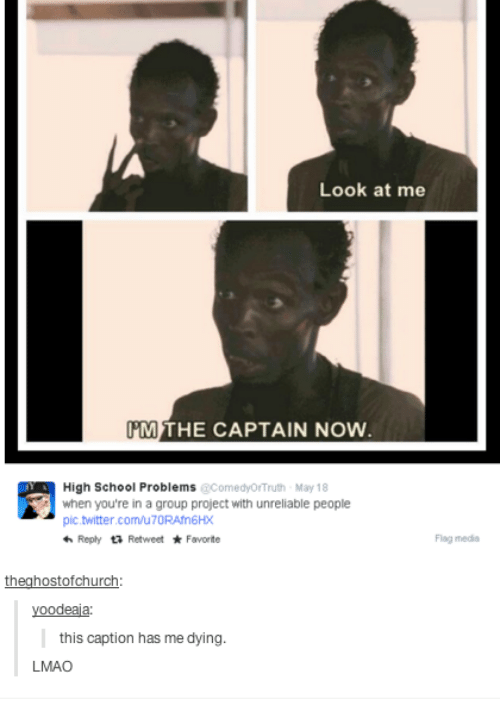 Group projects are always a gamble. Who will be your chosen teammates? What are their homework habits? How do everyone’s personalities mesh together? MOVE has tips (and memes) to help you out with every typical group member personality, which will help you all get that project finished. This group member always wants the least to do but all of the grade. It stinks if someone isn’t pulling their weight in the project like they should. One way to counteract The Lazy One from walking away with only the responsibility of the title slide is to sit down as a group on the very first day with the project rubric. The rubric has every piece of the project in detail, and the group should split all of the responsibilities accordingly. Since this is taking place in a face-to-face meeting, it won’t be as easy for The Lazy One to slip away without much to do because everyone else will be there to hold them accountable. So split up the rubric among the group, and that should keep the project about equal. This group member is somewhat sneaky, unless you know this person well. Sure, The Procrastinator will do their fair share of the project, but you may never see it until a half-hour before the whole thing is due. And it may or may not even be good, because they probably started it that same day. To prevent a headache, when everyone has their parts of the project, move up the deadline a couple of days so everyone can swap pieces for editing. If everyone agrees to the editing deadline, have the whole group put reminders in their phones and planners. The Procrastinator will get his/her part of the project in by this editing deadline and there will still be plenty of time to go over all of it and turn it in. But if you’re really worried, send The Procrastinator texts or emails every so often throughout the project, keeping them updated on the days left until the project is due for editing. 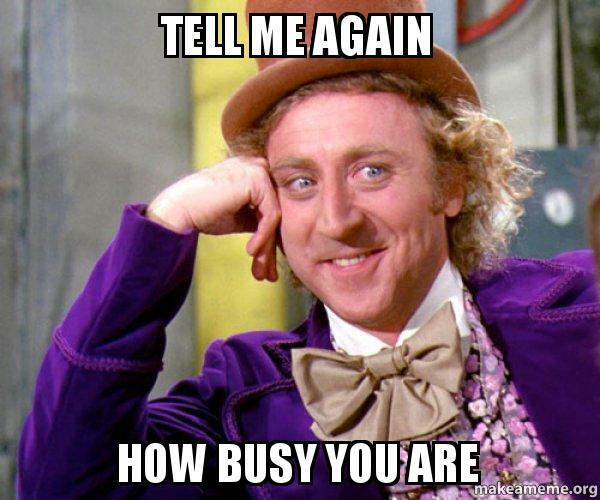 Everyone is busy this time of year, but there’s always that one group member that has an extraordinarily busy schedule. This isn’t necessarily a bad characteristic, but this student is never available for group meetings or going out and collecting the work. If this is the case, make sure this person is able to have the parts of the project they can tackle or have them pick meeting times. If this doesn’t work for the rest of the group, you could always call them during the meetings or send an email of a list of things discussed. The Busy Bee will get stuff done, but you just may not see them often. There will always be a Control Freak in a group project. Always. Otherwise, how would things get accomplished? But sometimes The Control Freak may go too far. They may nag the rest of the group about their parts of the project, take on a large portion of the work or complain about doing most of it. This person can actually be scary to work with because of the high standards they set for the project. To work with this type of personality, you should offer them help with some of the parts they are working on, as long as you have your parts under control. Or you could offer to edit their parts when they’re finished. The Control Freak will appreciate the help and they will be happier for it. Even just putting the offer out there goes a long way.